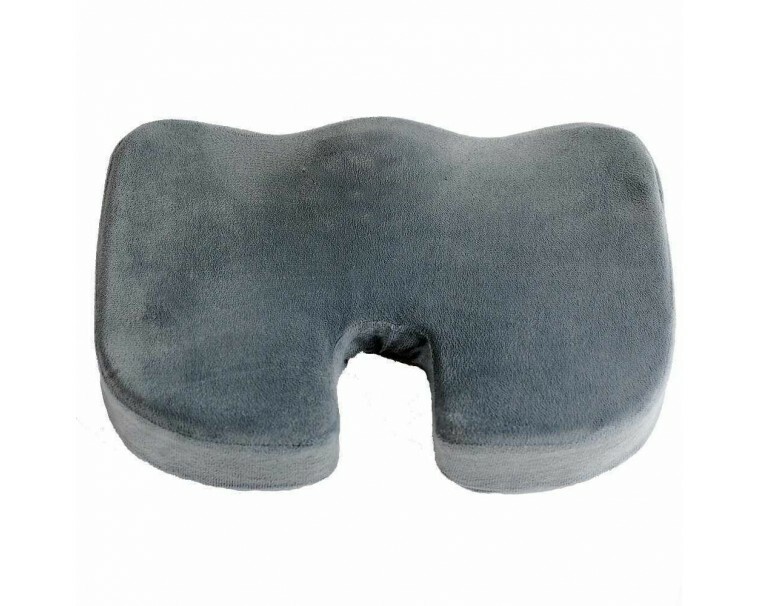 This High Relief Seating Cushion by Deluxe Comfort will add comfort to your chair, bench, car seat, plane seat, floor, or wheelchair. 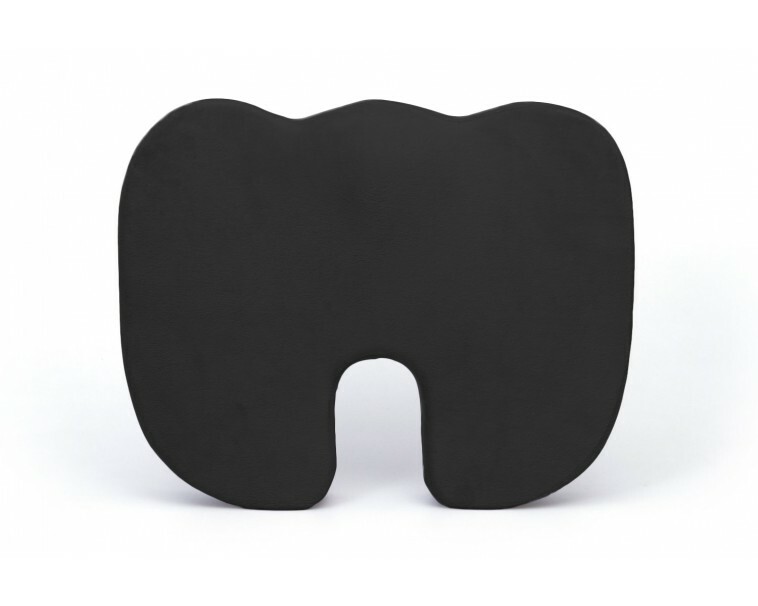 The rear cutout eliminates back pain by reducing body weight pressure on the tailbone. 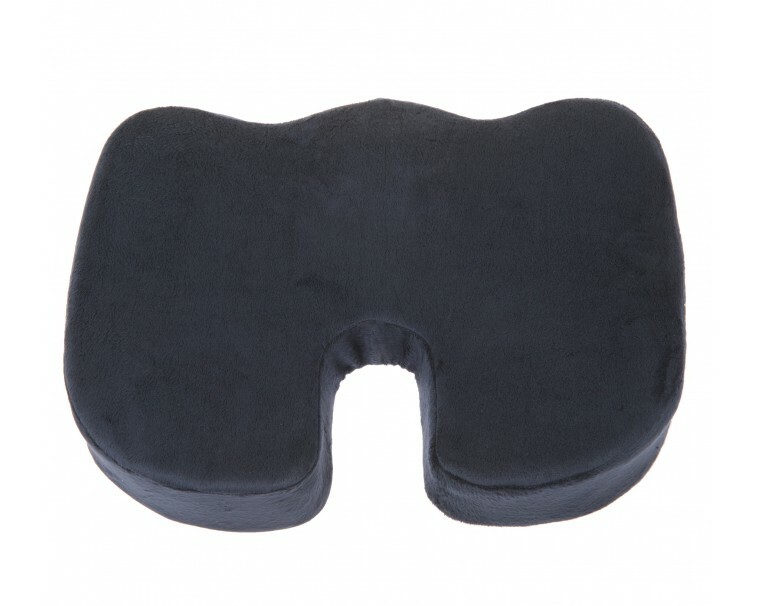 Meanwhile, the ergonomically designed contoured shape of the pillow promotes healthy posture, proper spine alignment, superior comfort, and helps prevent pressure ulcers. Most importantly, it will not flatten out like other cushions because it uses the highest quality comfort foam for optimal support over long stretches of time. The velour cover is machine washable and can be removed using the zipper for easy cleaning.